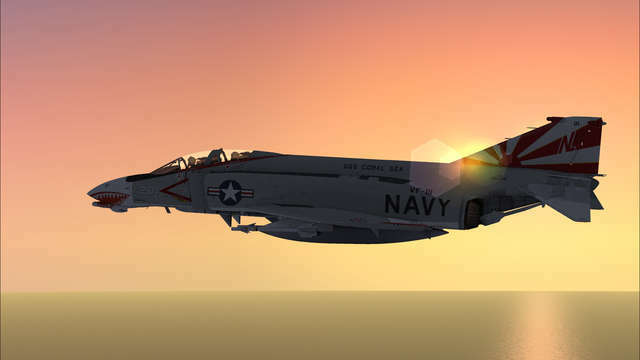 The F-4B Phantom II from Simworks Studios is the ultimate version of this iconic 1960s aircraft. 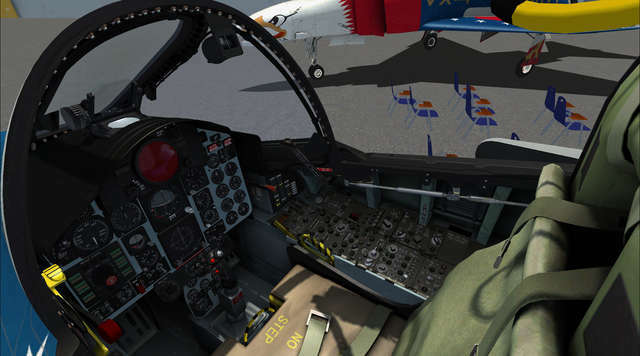 Featuring the B and N variants and VRS TacPack integration, every aspect of this aircraft has been painstakingly reproduced. 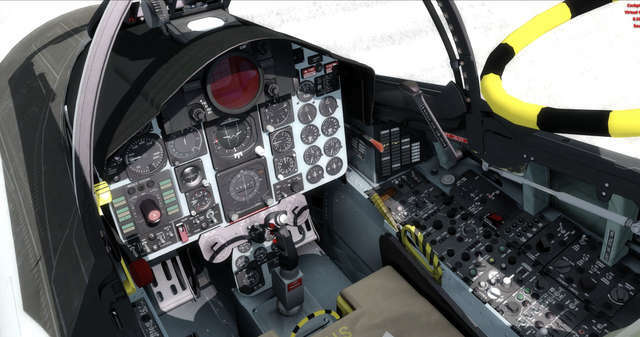 From the little details on the aircraft model to the sound of the pilot's heavy breathing during high-G manoeuvres, this package is an enthusiasts dream! The F-4 Phantom II is a tandem, two-seat carrier-capable supersonic fighter/bomber, first flown in May 27, 1958. Designed during the 1950s as an all-weather Mach 2 interceptor, the F-4 Phantom II could boast a maximum speed of more than twice the speed of sound, thanks to its two J79 engines. 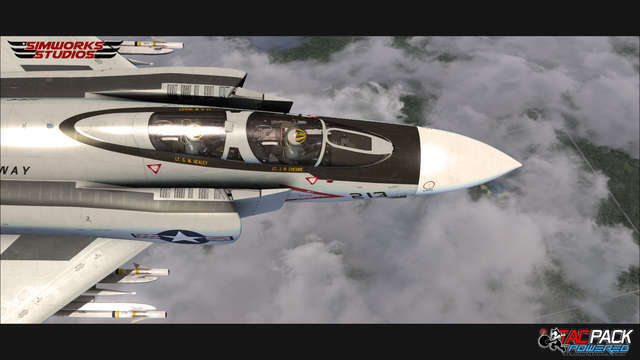 It was the first aircraft to be adopted both by the US Navy and US Air Force and it served with many air forces around the world in different variants. The Phantom II set a number of speed and altitude records and during its service life it proved to be a very adaptable aircraft, to the extent that it will still be in service in 2020 with some air forces. 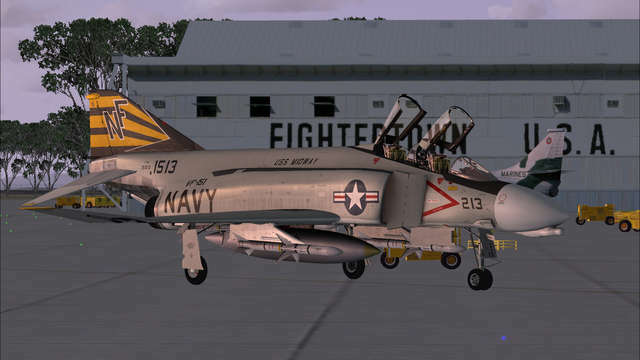 A high detail exterior model covering almost every F-4B/N variant to grace the skies, supported by many high-detail repaints! See the Detailed Description below for all the aircraft details! Note: To take advantage of the TacPack functionality you will need to purchase the TacPack software separately. 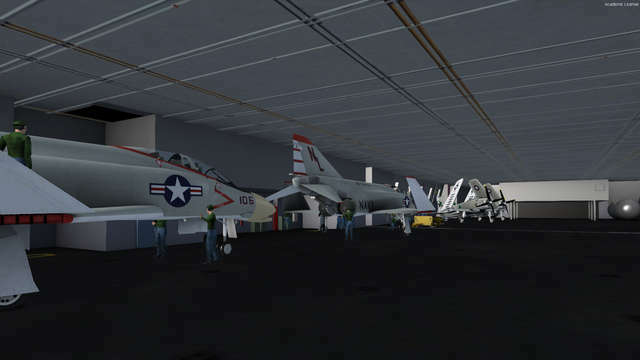 See the Vertical Reality Simulations website for full details. 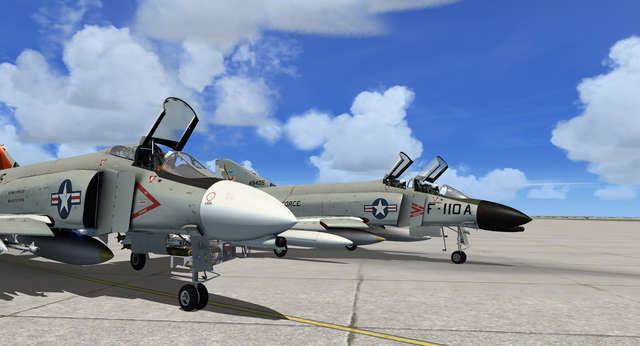 We have strived to reproduce the F-4's flying intricacies and feel in Flight Simulator X. 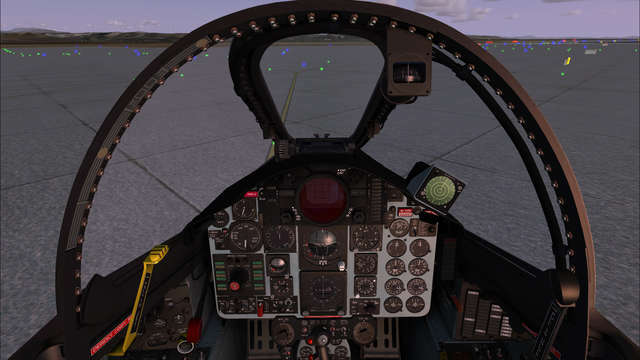 The exterior and interior models have been recreated with great attention to detail and we believe that the SimWorks Studios F-4B can reproduce the feeling of sitting in the cockpit of this legendary aircraft! A very detailed exterior model has been created from scratch, using hundreds of drawings and photographs to ensure great detail and accuracy. From the shape of the entire aircraft to the smaller mechanical parts that can be seen, every aspect of the F-4B has been reproduced painstakingly. The liveries have been carefully researched and created, with proper colour selection. Scratching and weathering is visible where needed on these used, but still 'factory fresh', aircraft. High detail specular and bump maps are used to enhance the texture detail even further. 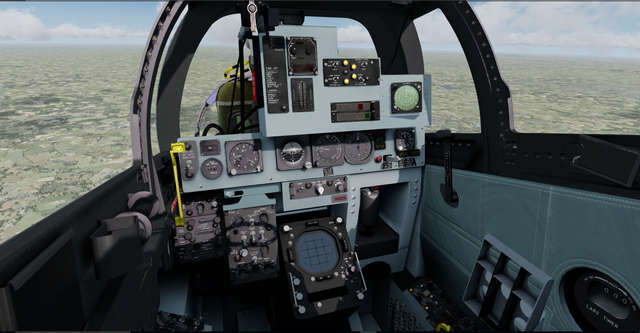 This also applies to the interior model; both the pilot and RIO cockpits have been modelled with great attention to detail and are both functional. 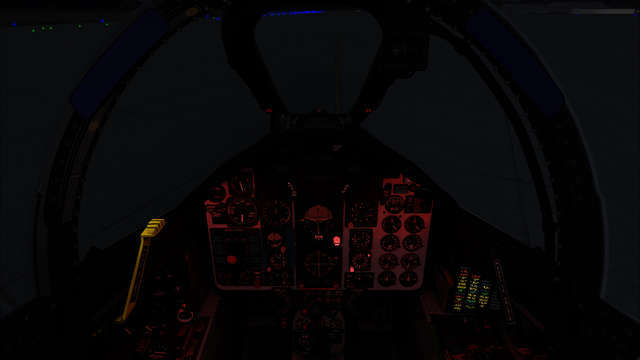 You will experience the bad forward visibility as in the real thing, and the cockpit will react to high alpha manoeuvring. 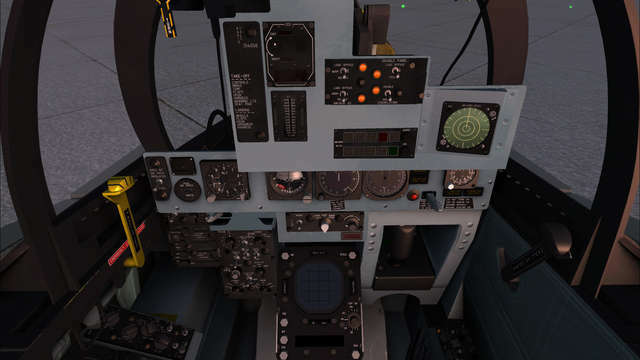 You will be able to feel the aircraft by looking at your screen. 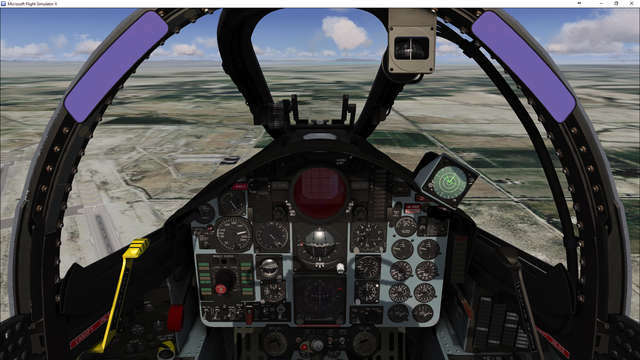 Over the years the Flight Simulator series has seen major changes in the fields of graphics, systems, environment etc., but the area that has not reached its full potential is the development of realistic flight dynamics. This is the barrier SimWorks Studios is attempting to overcome. The Flight Dynamics are designed by mechanical engineers specialised in the field of aerodynamics. After extensive research on the mathematical model of Flight Simulator's Flight Dynamics we proudly present the culmination of our efforts. 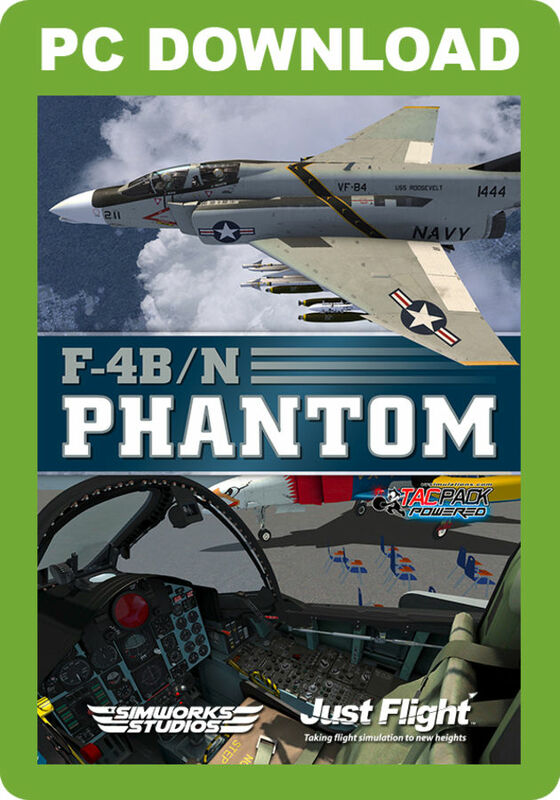 The F-4B/N Phantom II flight dynamics are the result of a comprehensive study of about a dozen technical reports mainly from NASA, investigating the stability of the Phantom's 'phlight' characteristics. First of all we based our work off the stability coefficients from experiments in the real F-4 Phantom. When results from real test data weren't available, we would use results from scale models or wind tunnel data. 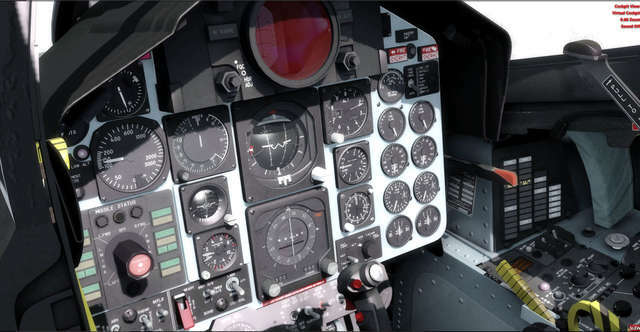 In some cases, due to restrictions in Flight Simulator, we were led to use mathematical equations in order to find the desired value and achieve the desired result. A variety of methods was used so that the .air file - containing more than 50 custom made tables - provides a result that will satisfy the purist. Our simulation of the J79-GE-8 turbojets provides accurate accelerations and top speeds for both dry and afterburning thrust. 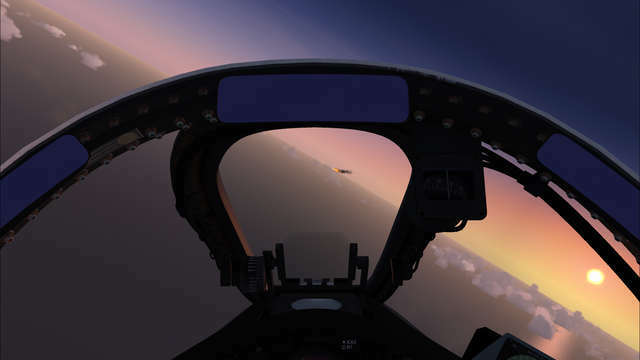 You will be surprised to find how fast the F-4B can accelerate to its top speed of M1.2 at sea level, as well as the rate at which it drinks up your fuel. 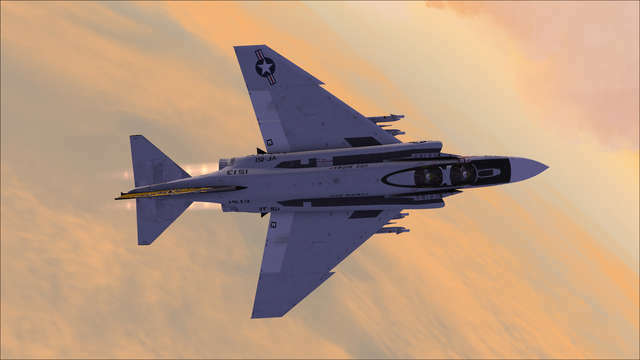 Second generation aircraft like the F-4 Phantom came with a Stability Augmentation System (SAS), a primitive Fly-By-Wire system whose role was to react to external forces and dampen their effects, thus reducing the pilot's need to balance an inherently unstable aircraft. 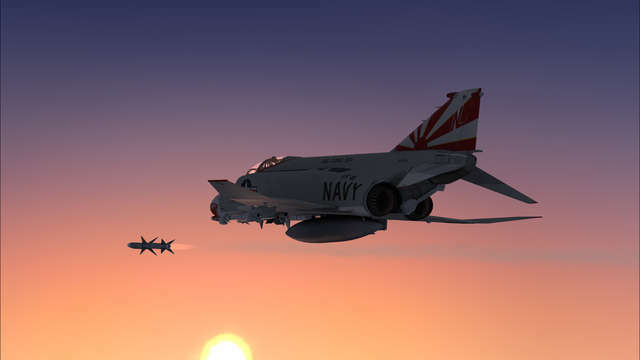 SimWorks Studios's F-4 Phantom Flight Dynamics were designed in order to reproduce the F-4B's pure aerodynamics. The Stability Augmentation System was built using detailed equations from the real thing as reference, thus completing the feel of flight. 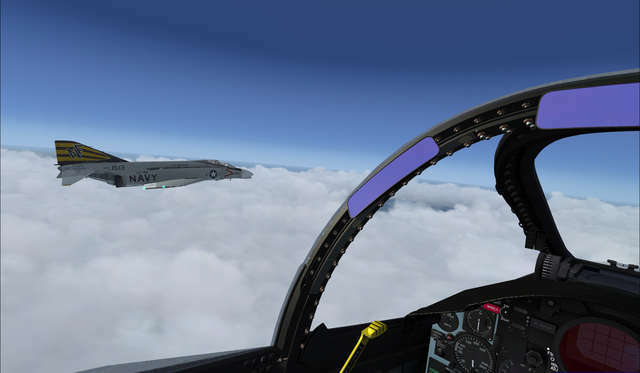 The F-4's flying intricacies have been modelled and the aircraft performs very close to its real-world counterpart. 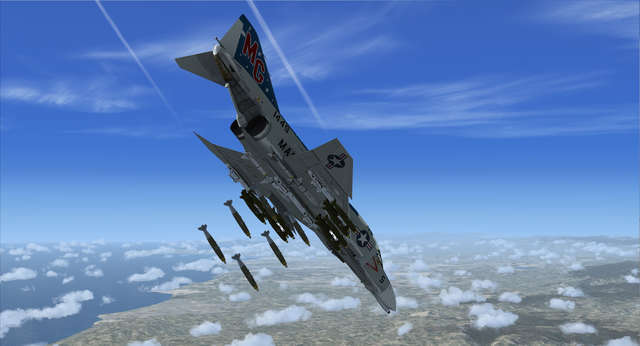 After you get used to the F-4B's oddities, you will find that it is a very enjoyable aircraft to fly and fight in. While it is by no means a tight-turner, you will find that it makes up for it with its great acceleration, its ability to fly at very slow speeds and very high alpha. It provides plenty of warning before stalling and is not easy to get into a spin. 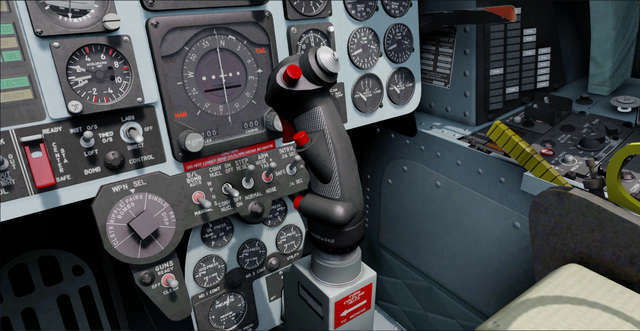 On the other hand, it is very unforgiving; if you have a heavy hand on the stick you will quickly bleed off your airspeed, stall or find yourself going in a different direction to the one you intended. 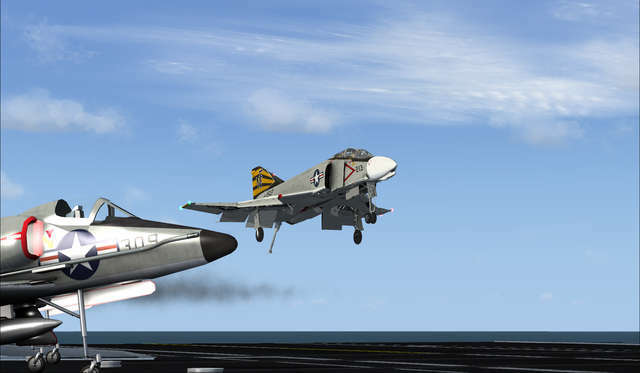 The F-4B/N essentially contains two types of aircraft. 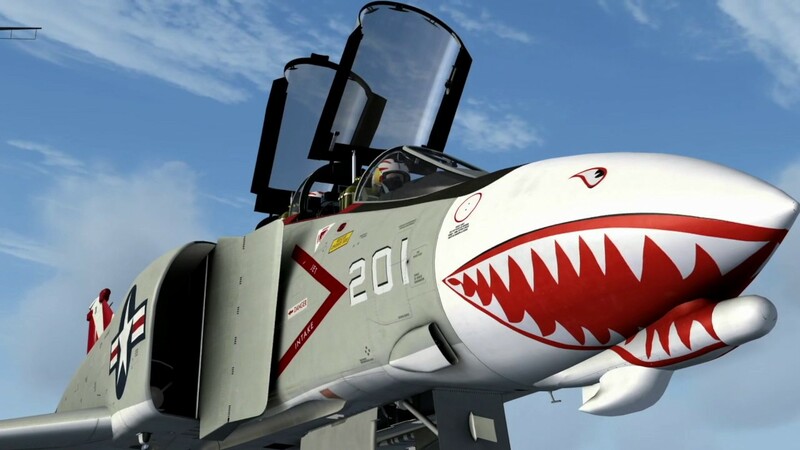 An F-4B is representative of an early 1960s variant, before AFC-218, i.e. 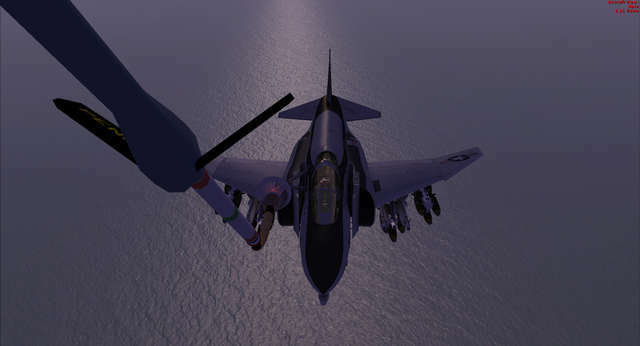 Electrical and hydraulic systems work differently compared to the later F-4B/N aircraft. 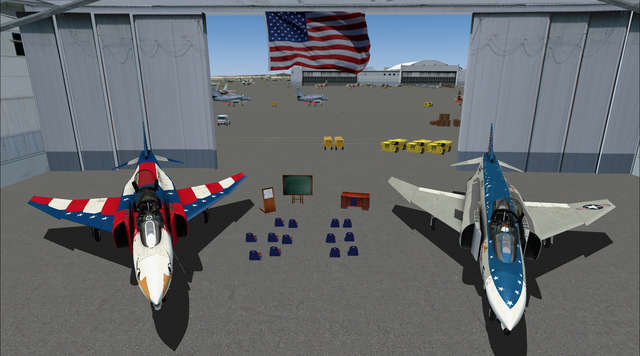 An authentic soundset created by Aaron Swindle is included with the aircraft. 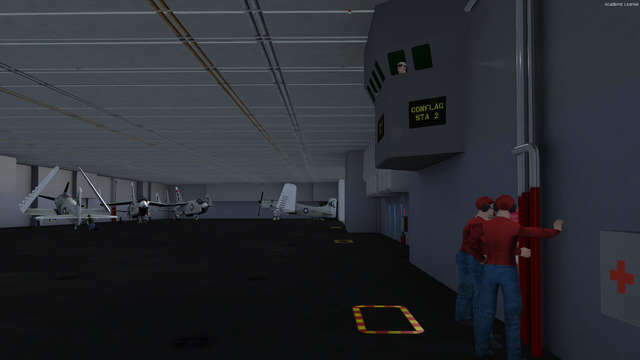 You will be able to hear the whine of the aircraft's engines as you spool them up, the air suction from the intakes and the pilot's heavy breathing during hard manoeuvres. 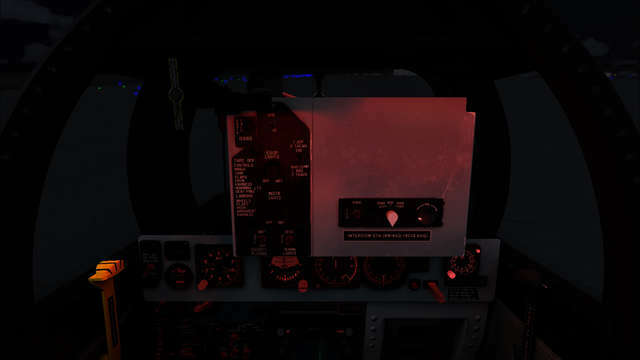 A lot of attention to ambient audio has been paid in this package, so you will be hearing a live aircraft's sounds even if you do not consciously understand it. The aircraft comes TacPack-ready. 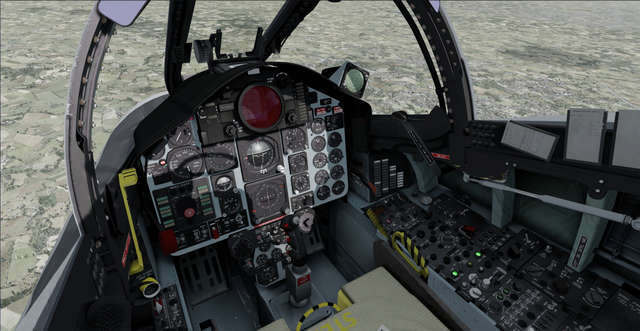 Any user who owns VRS TacPack will be able to use the F-4's weapons systems against air and ground targets. Non TacPack users will be able to load their stores as well and see their weight and CG% change, but the additional drag created by these stores and modelled through TacPack will not be felt. An easy to use Loadout Manager allows you to customise the load to your needs. Set your stores and fuel to your needs and fly. 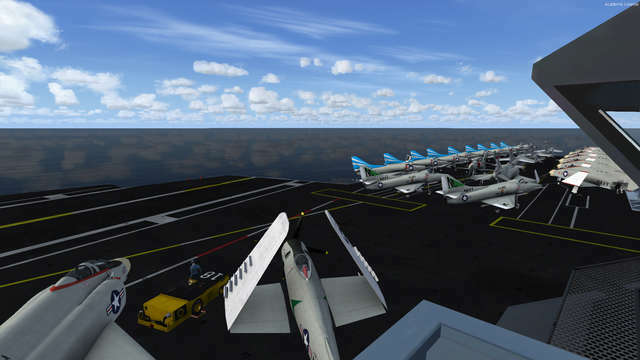 The F-4B/N comes bundled with an AI version of CV-43 USS Coral Sea that can be used with TacPack or AI carriers as a home plate for your missions. 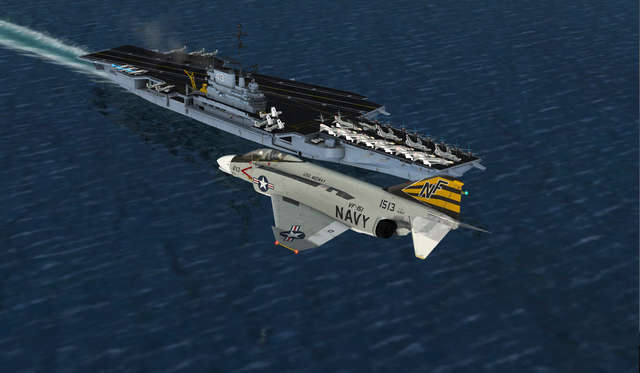 F-4Bs were deployed from USS Coral Sea during the Vietnam war. 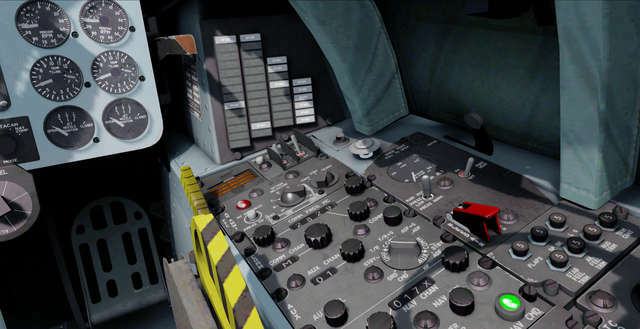 The model comes with many details such as working elevators, static aircraft, crew, weather-dependent animations and much more. 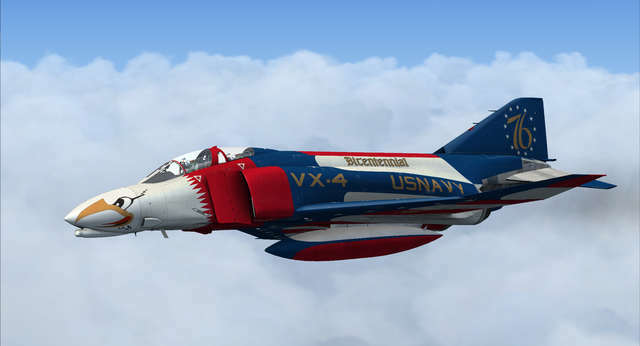 The F-4B was the first production model, entering service with the US Navy in 1960 as the F-4H-1 and later renamed to F-4B. 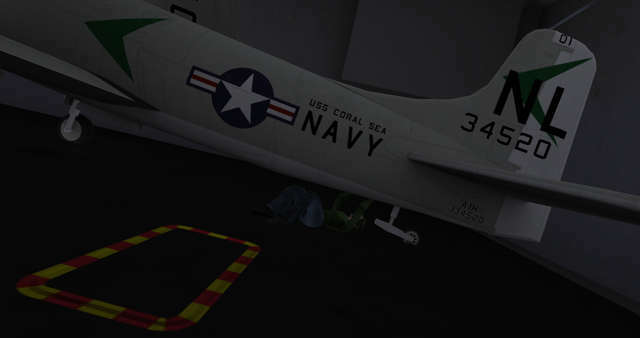 The F-4B was equipped with the AN/APQ-72 RADAR, to be used along with the AIM-7 Sparrow missile. 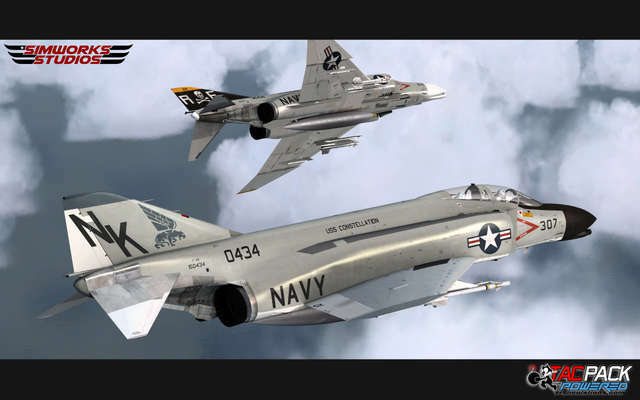 Coupled with the F-4's great speed and climbing characteristics, the combo allowed the F-4B to intercept oncoming aircraft before they could attack the fleet and at a long range. 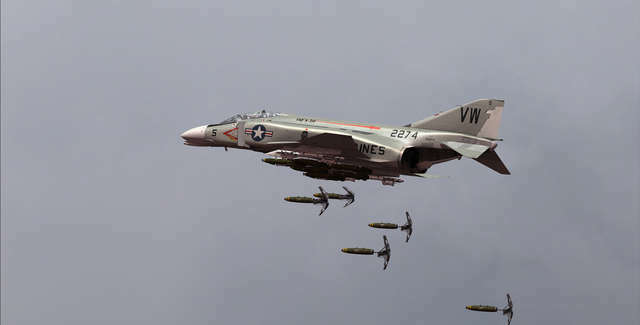 Combat experience over Vietnam proved that even less advanced fighters could pierce through this barrier and F-4 pilots found themselves in close-in dogfights against tighter turning aircraft and within gun engagement range. 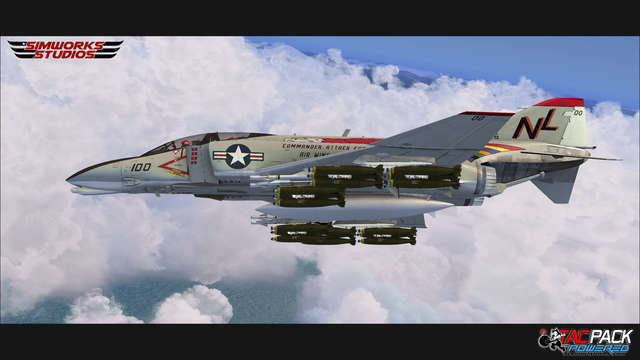 This problem was solved by the AIM-9 Sidewinder missile as well as gunpods that were mounted on the F-4's hardpoints. 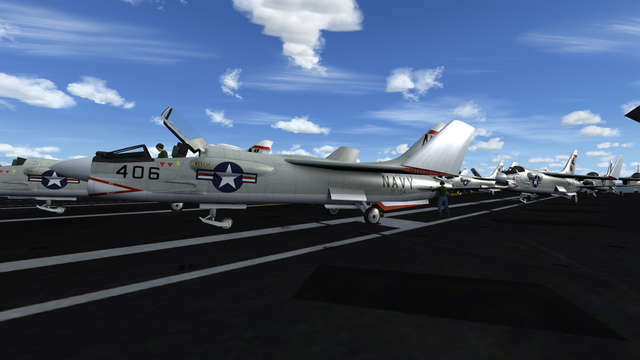 The big change came in 1968, when the US Navy's Strike Fighter Tactics Instructor program was established. 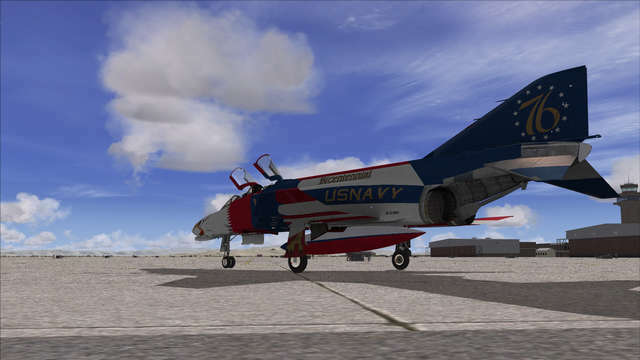 In SFTI pilots learned how to use the F-4B's powerful engines and climb performance to their advantage. The F-4 handled well in high-Q conditions and could be also flown at very high angles of attack and low speeds. Although it couldn't out-turn most enemy aircraft, it could disengage from the fight on the vertical plane very quickly and re-engage with high energy. 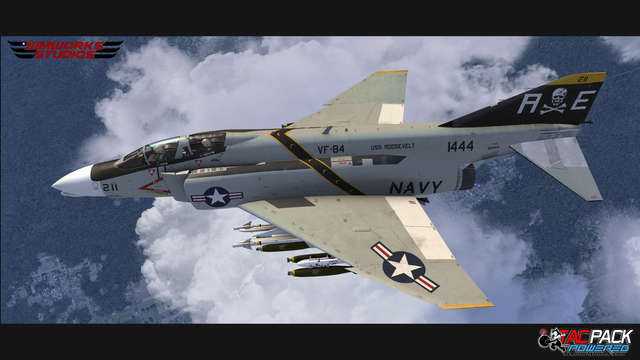 The F-4B was constantly modified throughout its service life and the most important modifications included counter-measure equipment, automatic landing equipment (12 aircraft named F-4G), drooping ailerons and slotted stabilators allowing for lower approach speeds, a new 0-0 ejection seat, smoke abatement systems and structural reinforcement, leading to the F-4N, the ultimate evolution of the F-4B. Click here for further Installation and Settings information. 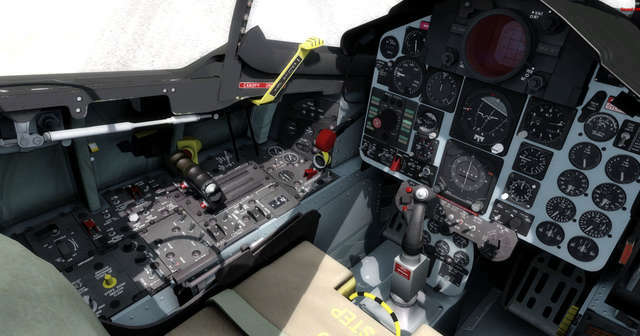 This TacPack-equipped F-4B Phantom II add-on from Simworks Studios includes the F-4B model representative of an early 1960s variant and various post-1968 variants of the F-4B and the F-4N which include a different cockpit layout, scounter-measure dispensers and various EW modifications. 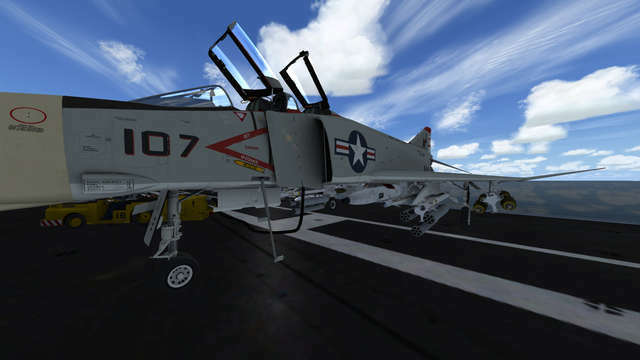 Features include accurate flight dynamics, authentic sound set, functional weapons system for TacPack owners, highly detailed exterior and interior modelling and also an animated model of the USS Coral Sea aircraft carrier.